A trip to Lofoten is a journey to the end of the world, or, quite literally, to the end of the alphabet: The final fishing village along the dramatic, serpent-shaped peninsula is simply named Å, the last letter in the Norwegian language. To those who visit, it’s a poetic reminder of the region’s isolated position deep within the Arctic Circle. Only an unforgiving sea of dark waves lies beyond. About 80 miles of paved road runs between Svolvaer, Lofoten’s largest settlement, and the faraway town of Å—the perfect distance for several days of thoughtful exploration. Though relatively short as the crow flies, the path bends through a series of twisting valleys and lonely beaches interrupted by the giant spires of sky-high stone that form the spine of the archipelago. It is these craggy mountains, rising from the ocean like breaching whales, that give the area its character. Lofoten’s winters are bitter and blustery, but summer’s round-the-clock sunshine fosters an outdoor adventure wonderland bolstered by surprisingly warm weather. Short hikes along the mountain crests reveal alpine vistas that extend down to the deep-water inlets far below and out toward the infinite horizon. The 90-minute trek to Kvalvika Beach has become a popular choice since two Norwegian filmmakers spent an entire winter on the untouched arc of sand for their award-winning documentary North of the Sun. Their voyage showcased the indescribable beauty of Lofoten and shed a new light on the cult of arctic surfers who call it home. 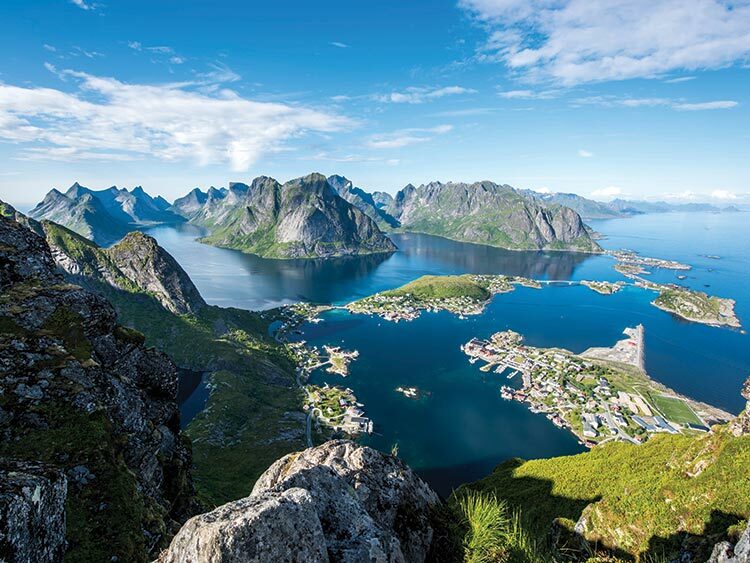 Although it may seem counterintuitive to hang 10 with nary a palm tree in sight, Lofoten boasts some of the most naturally gifted bays in the world, etched by eons of volcanic activity and polished by grinding glaciers. 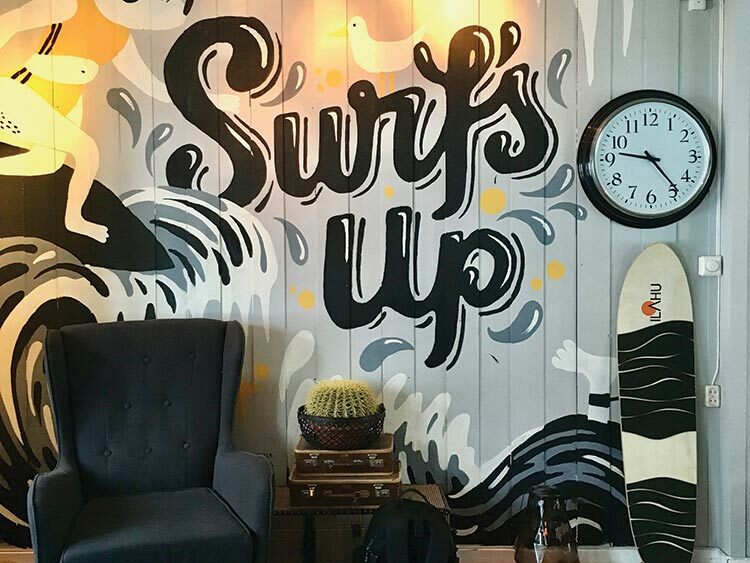 Unstad Arctic Surf capitalizes on the peak conditions with an academy dedicated to initiating beginners and a coterie of in-house specialists who will help you chase the perfect wave all along the peninsula. After a day at sea, Marion, its owner, satisfies appetites with platters full of delicious, belly-warming stews, and regales with surfing tales from all over the globe. As you begin to approach Å, the road shrinks to a collection of thin, one-way bridges. 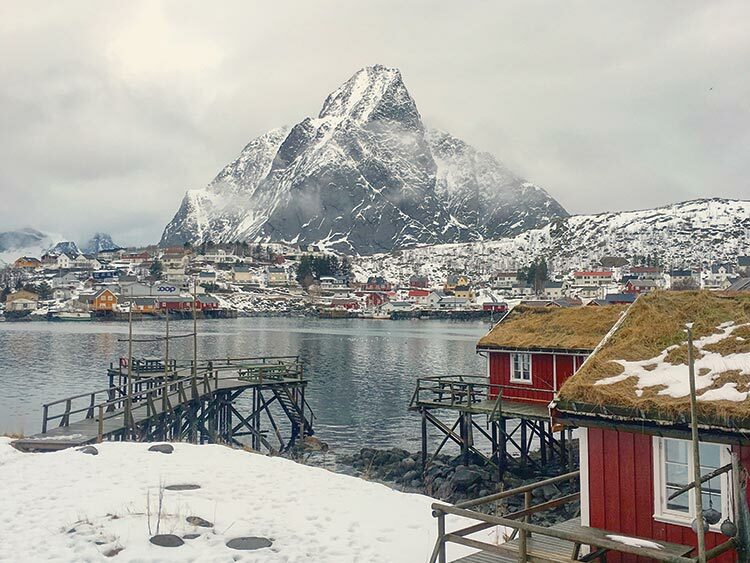 Turn off at Reine to spend the night in a rorbu, a traditional Norwegian fishing cabin built half on land and half on stilts over the water for easy ocean access. 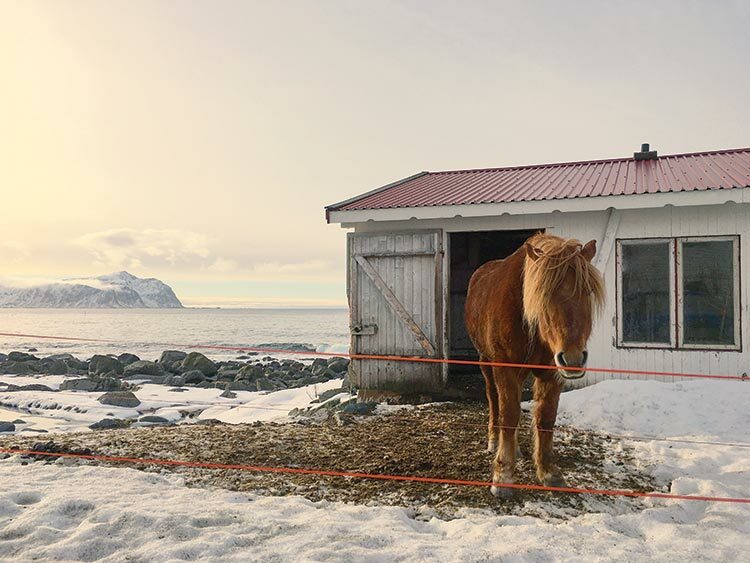 Often painted fire-engine red, these dwellings have become almost as much of a trademark of the Lofoten islands as its backdrop of ripple-ridged mountains. Try the turf-roofed chalets at Reine Rorbuer, which remain true to their old-world roots with wooden paneling, embroidered sofas, and brass beds. Brew a pot of warm tea and spend a quiet evening with a book looking out onto the fjord immortalized by the Instagram accounts of National Geographic and GoPro. For a different perspective, go kayaking in the bay the following morning with Reine Adventure. Further on, when the road finally peters out, giving way to the formidable forces of nature, it’s time to begin the trip back to Svolvaer. You’ll quickly discover, however, that it’s not the same journey from whence you came. As you turn the car around, you’ll encounter an entirely different landscape, with brand-new views to behold. That’s the funny thing about Å—it looks a lot like the letter at the start of the alphabet as well.